One of the best things about the animated series Avengers: Earth’s Mightiest Heroes is the fact that it swam around the richness of the Marvel Universe leaving no stone unturned. Over the two seasons that it aired we’ve seen the team go through several roster changes, visit classic storylines, add / lose members and see exotic locales that only the MU can provide. Which is why it was such a huge shock when Marvel announced that they are cancelling EMH in favor of the Disney-backed Avengers Assemble. Think of the emotional investment and even the promise that this series had down the drain. 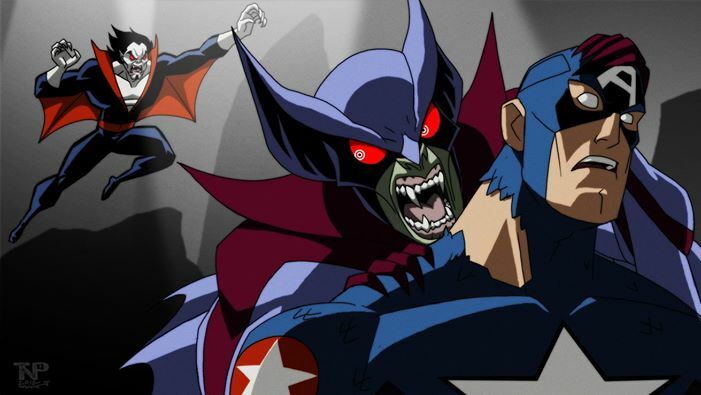 It’s been two years since they pulled the plug and ask any random geek in a convention what’s the best Avengers animated series for them and you’ll probably get the same answer – Avengers: Earth’s Mightiest Heroes. Today we look at some of the amazing concept art that was done by artist Thomas Perkins for the series which will definitely tug at your heart. Imagine if these concepts have been enacted we’ll totally geek out at the stories and ambition. From a big crossover with the X-Men and the Fantastic Four to re-emerging good guys and bad guys, EMH was going to be HUGE. Check out the rest of the gallery below and see what could have been had Marvel not pull the plug on the project. What’s the best moment for you from the first two seasons and what would be the best story arc to be adapted for the animated series? Leave your comments below and let’s discuss! ← Windows 95 is 20 years old today!